Completing law school and passing the bar are incredible accomplishments on their own, but then what? When it’s time to find their first attorney job, many young lawyers find themselves at a loss as to which path interests them most. One thing to consider is the outlook of a specific practice area. Not every lawyer position or specialization is created equal – some have bright outlooks while others are in decline. Similarly, earning potential is another important consideration for many recent graduates with thousands of dollars in student loans. The list below covers roles that are rapidly expanding and/or exceptionally well paid. 1. Intellectual Property: With the high-paced evolution of social media, increased reliance on technology, and expanded emphasis on branding, intellectual property (IP) continues to be a thriving practice area. Furthermore, the rise of “patent trolls” has made it a necessity for many technology-focused companies to engage IP specialists to defend against accusations of infringement. According to CNN Money attorneys who specialize in the protection of patents, trademarks, and copyrights have a better outlook than the average lawyer with 10-year job growth at 10.1% and median annual pay of $175K. 2. Regulatory Compliance: As the number of statutes and government mandates continues to increase, so too does the demand for compliance specialists. Laws like the consumer-oriented Dodd-Frank and the healthcare-focused Affordable Care Act have introduced many new requirements to consider. 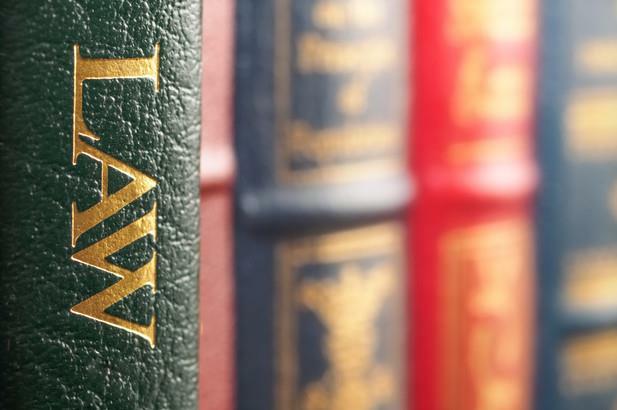 Corporations and law firms alike have a constant need for attorneys who can help businesses understand and navigate an ever-evolving regulatory environment. Lawyers with a background in compliance boast a median salary of $96K+ according to PayScale, and emerging occupations such as Regulatory Affairs Specialists and Managers are projected to add 300K positions by 2024. 3. Cyber Security: Another incipient specialty area is cyber security. High-profile corporate data breaches, international hacking rings, and numerous instances of global cyber spying have brought the need for robust cyber security to the forefront at many corporations and government organizations. However, demand has significantly outpaced supply. According to Peninsula Press, there are more than 209K unfilled cybersecurity jobs in the US alone. Across the board, the cybersecurity field is slated to grow by more than 36% over the next 10 years. This translates to greater-than-average compensation potential. A recent survey by Semper Secure showed the average cybersecurity professional (with or without a legal background) earned approximately $116K. Senior-level personnel can make upwards of $300K per year. 4. Environmental: Linked to compliance but requiring its own category, environmental law is focused on legislation, policymaking, and regulatory affairs. Subject matter may include water/land/air protection, hazardous waste disposal, climate change, natural resource conservation, energy, agriculture, real estate, and environmental justice. This specialty is heavily related to the scientific realm and requires the ability to understand and analyze technical materials, raw data, and scientific literature in addition to legal resources and precedent cases. EnvironmentalScience.org reports the median salary range for an environmental lawyer is $113K per year and this specialty is experiencing average growth (7%). 5. Elder Law: The National Academy of Elder Law Attorneys, Inc. (NAELA) projects the population of older Americans to reach 71M by 2030. This would constitute an increase of approximately 75% over the numbers listed by the Administration on Aging in 2010. As the senior population continues to grow and people live longer in general, the demand for specialists in the areas of estate planning and elder abuse will continue to expand. There are a number of professional and ethical challenges to consider in this field, and it requires in-depth knowledge of medical terms, Medicaid rules, advanced directives, long-term care, and other related subject matter. The average salary for lawyers that choose this career path is approximately $74K; however, it’s important to note that compensation increases with experience and most successful elder law attorneys have significant experience (this is purely because of the inherent biases many retirees have regarding young professionals and their reticence to follow the advice of lawyers “young enough to be their children”). 6. Labor & Employment: This specialty area spans a wide range of subject matter encompassing unions and collective bargaining, wage and hour standards, workplace discrimination, safety and health, benefits/pensions, workers’ compensation, and other regulations. Attorneys who focus on labor and employment issues may work on either side of grievances/disputes, advocating for workers or defending employers. 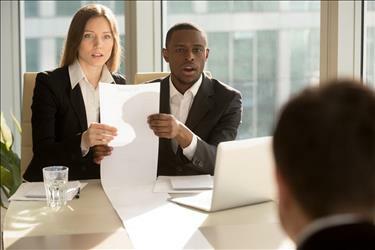 Arbitrators, mediators, and alternative dispute resolution (ADR) specialists are looking at a 9%–13% increase in opportunities from 2014–2024. Employment lawyers can expect growth on par with attorneys in general (~10%) and earn an average of $144K per year. 7. Health Care: As a practice area, health care law is made up of three primary components: regulatory work, litigation and negotiation on behalf of clients (hospitals, nursing homes, HMOs and individuals), and advocacy/lobbying for health care reform. Health care law also focuses on access to healthcare, disability rights, mental health, public health, research, and ethics. A variety of other sub-specialties also exist, including food and drug law, genetics, hospital law, human research, insurance and managed care, and many more. The health care sector as a whole is expected to add the most jobs from 2014–2024, expanding by as much as 20% in the coming decade and lawyers in this sector have some of the highest earning potential with median salaries of $150K according to Glassdoor.com. Other practice areas to consider include Mergers and Acquisitions, White Collar Crime, and Immigration.